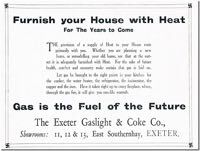 Before the North Sea gas fields were exploited, gas was made by heating coal to extract the gas and produce coke as a by-product. Using this process, the Gas Light and Coke Company was formed in London during 1812, and the first street lights installed. Just three years later, a meeting in the Royal Clarence Hotel, on 24th April 1815, proposed the introduction of gas lighting in Exeter. Three prominent citizens reported back to the committee, after they went to London to find out how such a system could be implemented, and the company was formed on 27th May 1815. 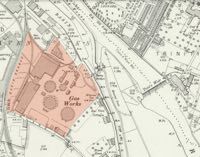 The first gasworks in Exeter, based on this principle were built between 1815-17 on Exe Island by the Exeter Gas Light & Coke Company. Established by Act of Parliament in June 1816, it had a capital of £45,000 raised by selling shares at £25 each. It was estimated in 1850, that the value of the shares had increased to £35 to £40 each, and the annual profits amounted to 8%. 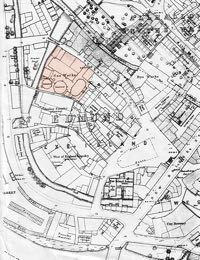 The works was situated between Tudor Street and Bonhay Road in Anchor Lane, and was responsible for the early industrialisation of the area. The first engineer was Mr E O Tregelles, who designed the works. By 1822 the works were firmly established, and adverts were placed in the local newspapers offering coke for sale, as well as coal tar, which could be purchased for 6d a gallon in minimum quantities of 100 gallons. In 1869, a report stated that the smell from the 'Gas Ammonical Liquor Distillery and Manure Factory' was a public health danger in the Bonhay. The Exe Island site was difficult to supply with coal as it was not on the river bank and there was no railway siding close by, so it closed in the 1870's, and all production moved to the better placed Haven Banks. The northern part of the site became the slaughter house. The first gas lighting was in Martins Lane, where a single central lamp post, next to the SPCK Bookshop, marks the spot of one of the first gas lights to be installed in the lane. The High Street followed soon after. A rival company, the Exeter Commercial Gas Light & Coke Company was established on Haven Banks, by Kings Sluice in 1836. 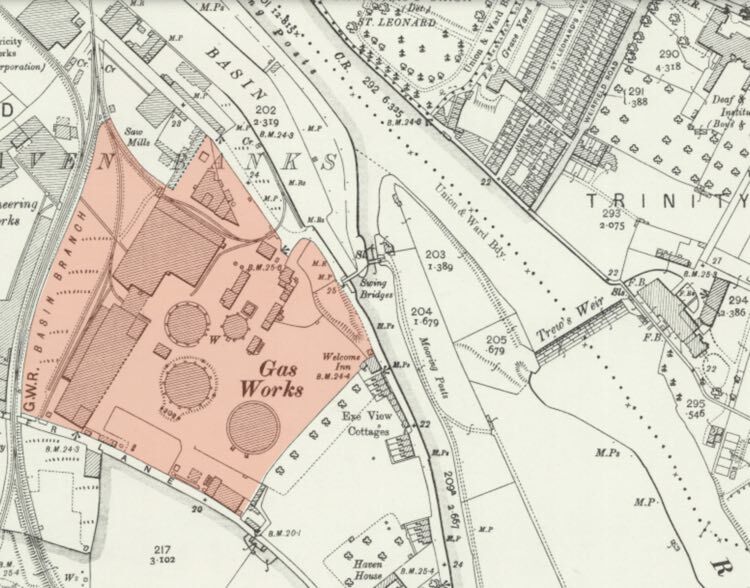 One of the new gasworks customers was the Welcome Inn, adjacent to the works on the canal, which was supplied in perpetuity with free gas - a good promotion for the young enterprise. However, after only three years, the company was taken over by its rival from Exe Island, on 1 May 1839. 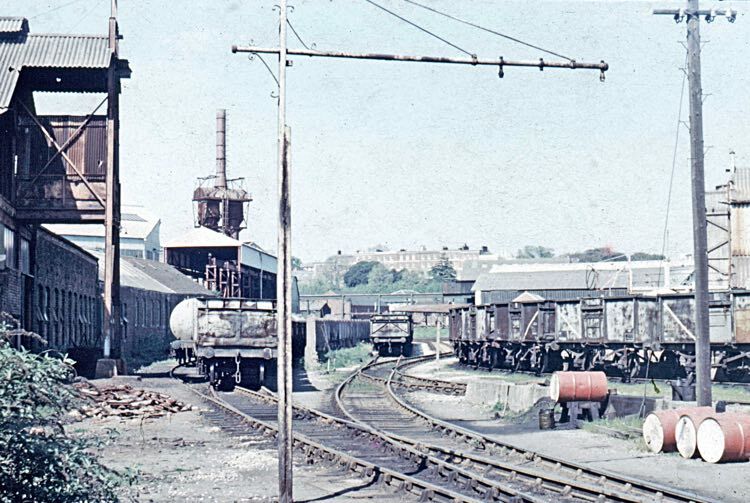 After the Exe Island plant was closed, Haven Banks was rebuilt in 1878 and in 1903 a tramway was installed to carry coal into the works from the canal basin. The works were again extended in 1912. In the 1920's it was extended yet again to cater for the fast developing Exeter and to supply Willey's and other businesses. The railway was not immediately available for supplying coal to the gasworks and the canal basin was used to deliver to the works by sea. 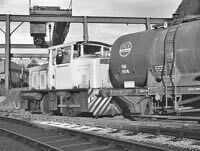 In 1878 when the works were rebuilt, the ship canal had proved to be unreliable and for a few years, colliers would unload into railway trucks at Starcross for the gasworks. By the 1880's Starcross ceased operation when Exmouth docks were built. "Gas Works - 1 large oil tank approx 100' in diameter & 18' deep containing heavy oil and ammonical plant, destroyed by fire. Wynch House of Coke and Skip-hoist, damaged by fire. 100 kilo watt engine damaged by fire". 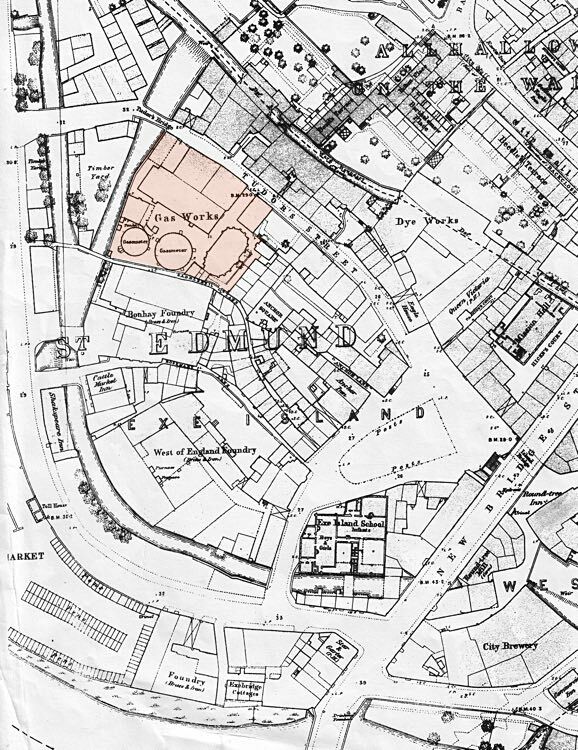 Even the Exeter Gas Light & Coke Co. offices and showroom close to Dix's Field in Southernhay were damaged by fire and a workshop destroyed. In 1952 the whole works was redeveloped yet again to increase gas production and a large, brick built gas retort was completed in 1956. 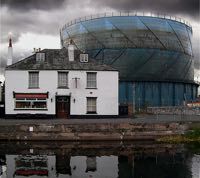 The Exeter gasworks was the last in the south west to output coal gas, ceasing production in 1971, followed by demolition of the plant in 1973 when North Sea Gas was introduced, leaving the gas holders as a reminder of the former, much larger works. Shipments along the canal and the railway, of coal stopped with the change to natural gas, and was one of the factors in the demise of the canal. The gas holders were removed in 2015, and the site levelled. Isca House, is a modern office complex just along the canal from the gasworks and is a local headquarters of Transco. 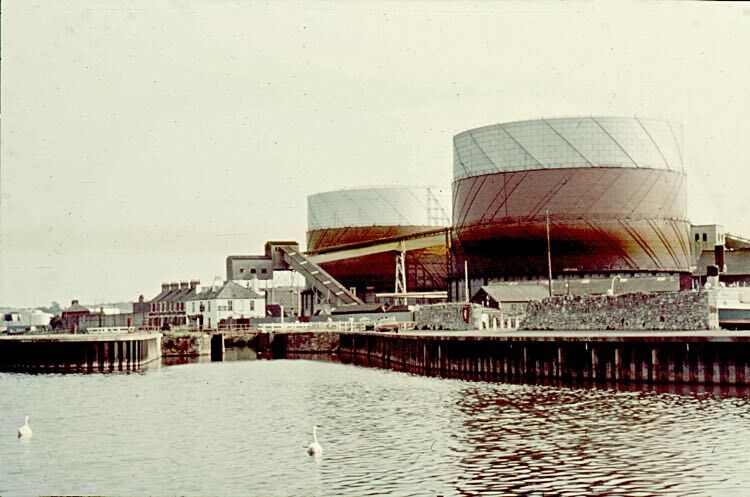 The gasworks at Haven Banks in the 1960s. Photo Jim Billsborough. 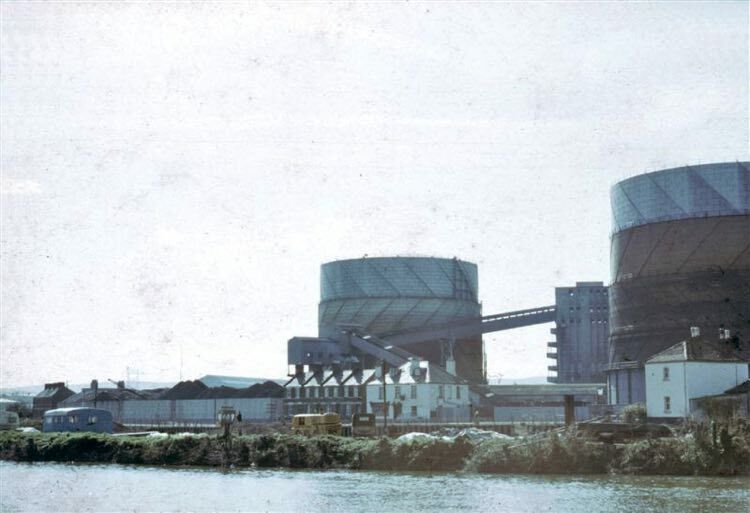 The gasworks at Haven Banks just prior to the introduction of North Sea Gas. The entrance to the canal at King's Sluice is centre left. Photo Alan H Mazonowicz. 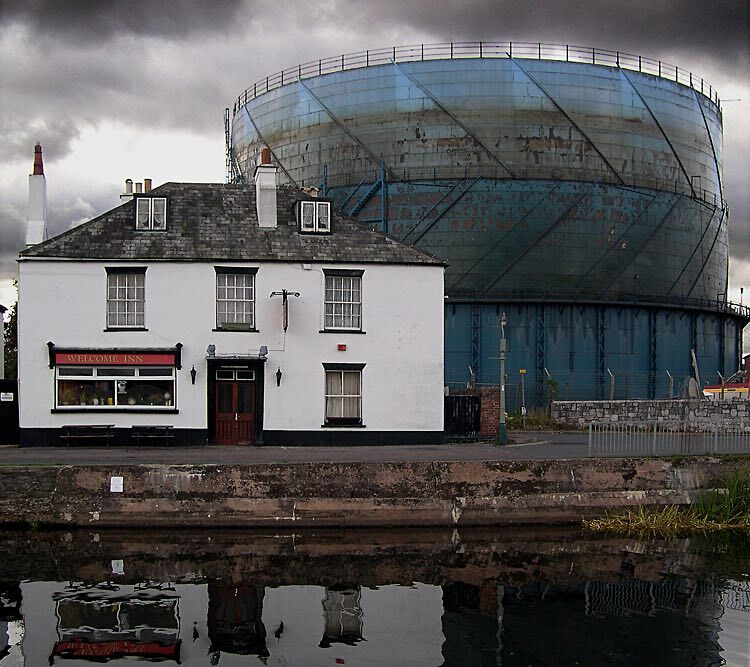 The gasworks from Exeter Quay, circa 2004. Photo David Cornforth. The sidings for the gasworks in 1971. Photo Alan H Mazonowicz. 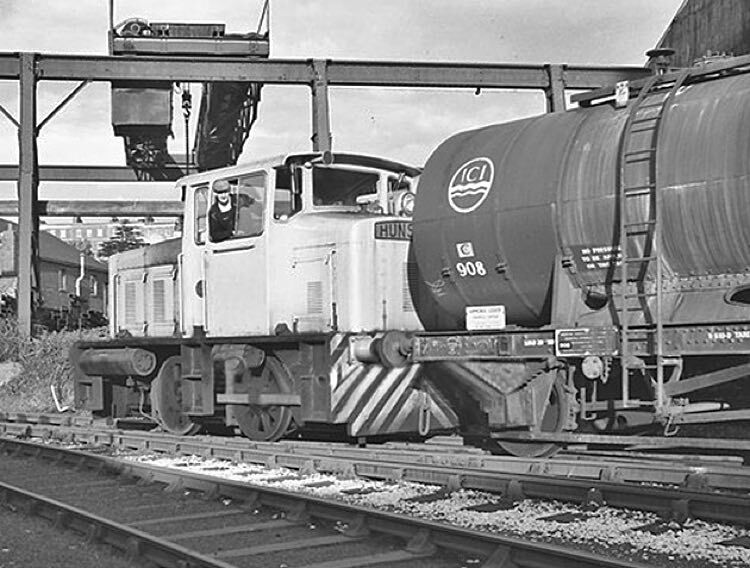 A Hunslet shunter moving oil wagons at the gas works. 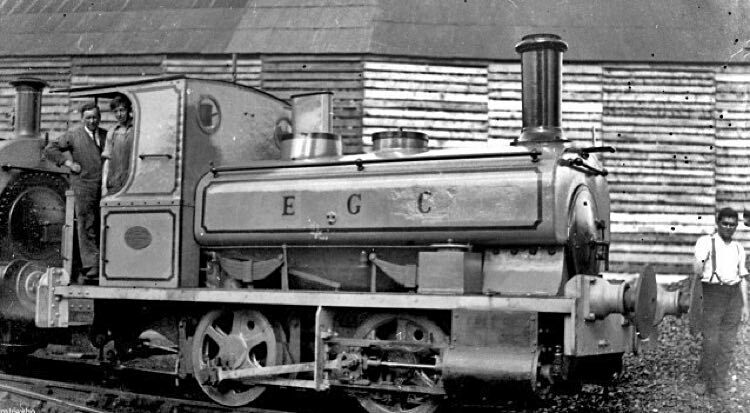 A 0-4-0 steam shunter with the gas works livery. 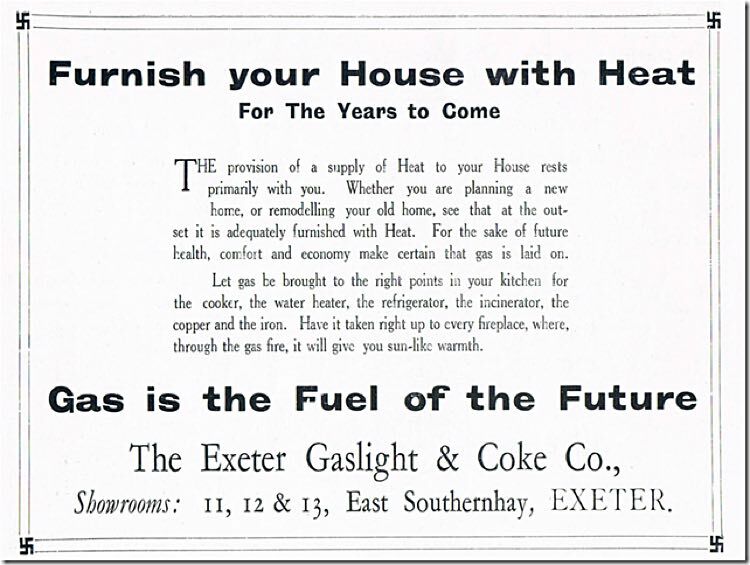 Advert pointing out the virtues of gas in a modern home. Probably 1920s. The Welcome Inn with one of the gas holders looming in the rear. Photo David Cornforth.